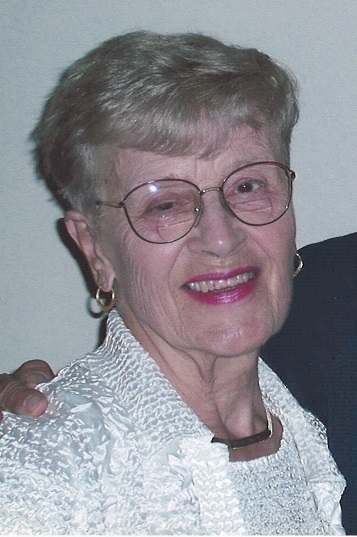 Obituary for Catherine "Kay" (Vavrek) Svitchan | Francis G. Ozog Funeral Home, Inc.
SVITCHAN – Catherine “Kay”, 95, of Southmont Borough, died January 22, 2019, at McCullough Place. Born April 15, 1923, in Johnstown the daughter of George and Anna Vavrek. Preceded in death by her parents; husband of 68 years, Branko “Coakie” Svitchan; sisters: Sue, Ann and Mary; and brothers: George, Joe, John, Paul and Martin. She is survived by her loving son, Douglas married to Benita Bottom-Svitchan, of Kensington, Maryland. Kay was a member of St. Nicholas Serbian Orthodox Church. Friends received Friday from 6 to 8: 30 pm at the St. Nicholas Serbian Orthodox Church and Saturday from 9 until time of service at 10 a.m., Fr. Milan Dragovic officiating. Committal will be held at Grandview Cemetery. In lieu of flowers donations may be made to the St. Nicholas Serbian Orthodox Church Building Fund or the Cambria County Association for the Blind and Handicapped in memory of Mrs. Svitchan. The family is being served by the Francis G. Ozog Funeral Home, Inc., 710 Broad St.